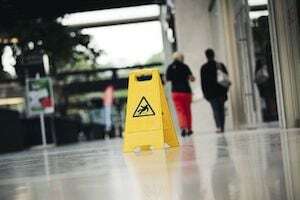 Premises liability law governs when an owner or occupier of property can be held responsible for an accident caused by a dangerous condition on the property. Slip and fall cases are the most common example. Premises liability is based on general principles of negligence, meaning the victim must be able to show that the party responsible for maintaining the property failed to take reasonable steps to address the danger. Our law firm handles accidents caused by all types of dangerous conditions - from spilled liquids, to toxic substance exposure, to inadequate lighting or security. Attorney John B. Kenison, Jr. established himself as a premises liability lawyer in Manchester, NH, by taking an honest, no-nonsense approach to these cases. Tell us about your case to learn if you have a valid claim. Owners, landlords, commercial tenants, and other property managers have no excuse for acting carelessly and endangering the public in the process. In premises liability cases, the defense often claims that the victim should have paid more attention to their own surroundings. A premises liability lawyer analyzes the facts and circumstances of each case, and can usually find at least some element of comparative fault. The rules governing premises liability differ from state to state. In New Hampshire, there are two ways to prove liability. Think of these as tests that apply to a property owner’s conduct. If either test is met, the injured party can recover damages. Test #1: Did the accident happen because the owner performed his or her activities on the property in a careless manner? This covers situations in which the owner’s actions (or failure to act) created a dangerous condition on the property and the plaintiff got hurt as a result. Test #2: Did the accident happen because the owner failed to repair or warn of a dangerous condition (that the owner knew or had reason to know about)? This covers situations in which the owner did not create the danger, but should have taken action to address the problem before the plaintiff got hurt. Constructive notice makes it impossible for a negligent property owner to escape liability by playing dumb. Pretending not to have known about a dangerous condition prior to the accident will accomplish nothing. If the danger should have been apparent, the owner can be held responsible. Because all the circumstances surrounding the accident can add up to constructive notice when considered together, even tiny details are important. An accident investigation should focus on anything that would have led a reasonable property owner to realize there was a problem. Negligent property owners may argue that the accident happened before they had a chance to fix the problem or warn the public about the danger. Constructive notice can be used to refute this argument. To do so, the injured party must show there was sufficient time for the owner to act. Establishing the amount of time that passed between when the dangerous condition began, and when the accident happened, is crucial in nearly all slip and fall cases. For example, a grocery store customer who slips on milk that was spilled two minutes prior to the accident probably has a weak claim. If the milk was spilled two hours prior to the accident, and the store clerk never mopped it up, the customer probably has a strong claim. Property owners and their insurance companies will invariably point to an injury victim’s own conduct as a contributing factor in a premises liability accident. Sometimes this turns out to be true. In the spilled milk scenario, for example, the customer may have been distracted and failed to notice the puddle on the floor. However, as long as the plaintiff is not 51% or more to blame, property owners must still pay their share of the total damages. Owners, landlords, commercial tenants, and other property managers have no excuse for acting carelessly and endangering the public in the process. If you were hurt in an accident on someone else’s property, contact Kenison Law Office for a free consultation to discuss your options.